Officials are expected to report back to residents of Mountain View, south of Johannesburg who took part in a violent protest this week. The City of Johannesburg, who met with residents on Tuesday, will report back on Sunday on how they intend to tackle the service delivery related challenges faced by the area. 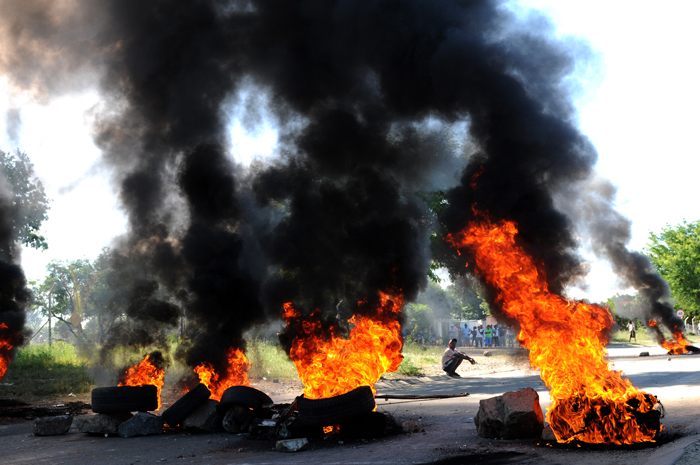 Earlier residents threatened to make the area ungovernable should their demands not be met. Angry residents went on the rampage on Monday morning, barricading both the Golden Highway and part of the N1 near the Grasmere tollgate with rocks and burning tyres. They are demanding proper sanitation, water and houses, claiming no development has ever taken place. Community spokesman Big Ribombo said residents were prepared to continue fighting, even if it means getting arrested in the process. “For how long are we supposed to wait for development in our area? Government officials only come to us during election times, promising us heaven earth, just so they can get votes from us, but after that… they just disappear into thin air,” Ribombo said.